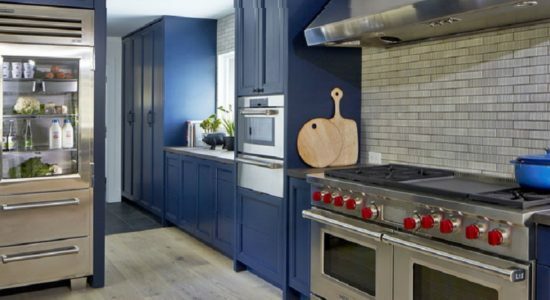 Kitchens are the Heart of the Home! Kitchens are the centerpiece of a home. 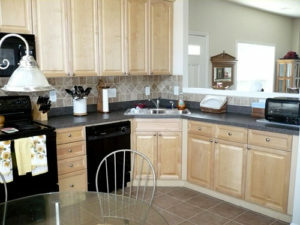 It’s where friends and families come together, and where many people spend a lot of time hosting. 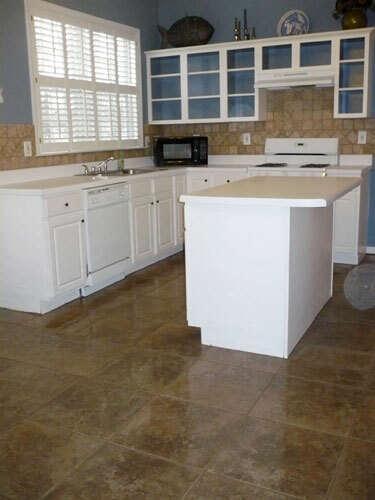 For every style, from modern to retro or country to contemporary, kitchen floors come in many varieties. 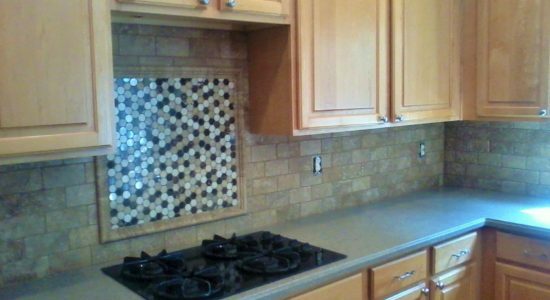 Tile can be any shape, any size or any color, metallic or marble, natural stone or a mimic in porcelain, glass, gloss, or matte. 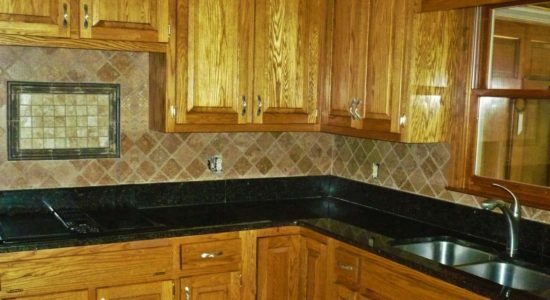 If you prefer wood, Dickie Tile has you covered. 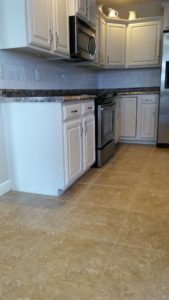 Laminate floors also come in many varieties, are extremely durable, and start at some of the lowest flooring prices offered. Between all the different photo prints, you’re sure to find the style you desire. Hardwood flooring is available by Dickie Tile by special order. Don’t Forget! 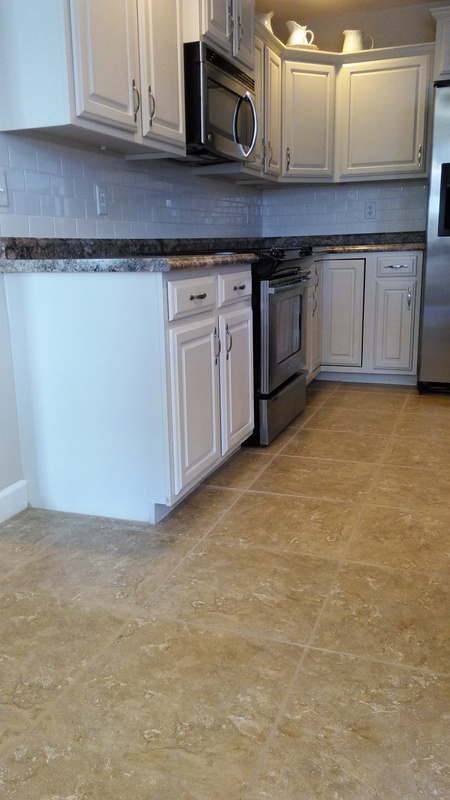 Heated floors can be installed with tile and laminate! 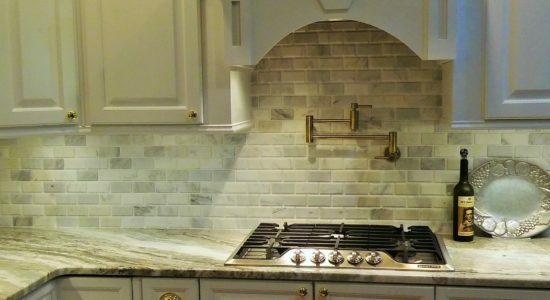 Like polish to the nails, or pinstripe to the suit, a backsplash to a kitchen, is the perfect completion piece, turning it from ordinary into your favorite room! 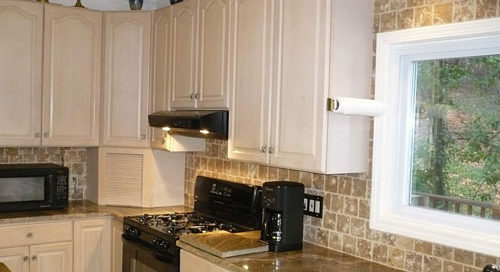 No more spaghetti sauce or gravy stains! No more dish water splashing the paint and making it discolor or peel for you to repair again and again! 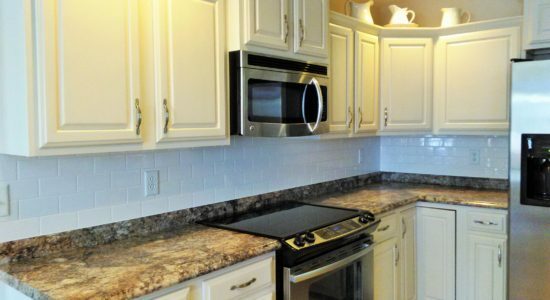 With a backsplash, and low maintenance, you simply wipe with a warm wet cloth and you’re done! 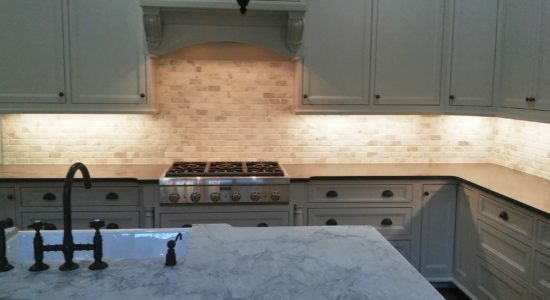 Most backsplashes can be installed in 1 & ½ days for you to enjoy for a lifetime!